As we drift from Thanksgiving, I am recalling some of the conversations we had in the kitchen. My daughter has been buying her own groceries for a grand total of 6 months. She had many, many questions about how to save money on her groceries. It was interesting to me, that even with a mom who teaches people how to save money, there were a few basics she was missing. One of the things she told me she was doing, was to go to the store, grab a circular and start shopping. She was not looking ahead! I almost always take a place at the week to come before getting into the store. It's free! It saves money! It's Easy! All anyone needs to do is look at the upcoming sale week online. As a matter of fact, you're online right now, so you can do it now. All the weekly circulars, Penny Pinchers and Web Specials (items not advertised in print), are available on the My County Market site. The second thing she was doing was not splitting up her budget into three parts. 1/3 of her budget should be for Instant gratification! 1/3 for Meal planning specials, and 1/3 for longer term pantry staples. This allows her to build a base of foods for less money, and have that resource for providing inexpensive meals in the future 90 days. This is very important to saving money. Plan for up to 13 weeks, aka 90 days of budget friendly meals that YOUR family will like. If you see a key ingredient on sale, and there is a coupon for it, buy multiples to get you through that time period. For example, if you see Rotel tomatoes, and you love making a chili with that brand, buy it when it's $.79 not when it's $1.19 each. You will buy 8 for this period, and save $3.20 on just that one item. By the time you do this with all of your favorite 80 products, you will save $240 in a 90 day period, or $960 in a year. That is just on your pantry staples of favorite foods. The third topic we discussed is how to save money on those high dollar, instant gratification items. We talked about how buying your favorite brand frozen pizza weekly at full price and really inflate your budget. 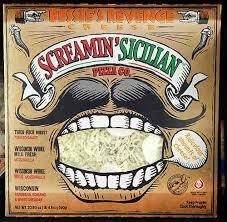 Let's say for example, you love having a Screamin's Sicilian pizza in the freezer for Screamin' Sicilian website, ask for a coupon by mail, and look for additional easy to pick up coupons from newspapers and online clipping sites. Then when it's on sale for $4.99, and she has a stock of $1 on 1 coupons, she can pick up 6 of them for $3.99 each. Wow! She'd save $12 just on pizza for 6 weeks. She could use that $12 saved in her budget to fill her pantry with budget groceries like rice, beans, canned goods, frozen vegetables, broth, seasonings, and baking mix. All of a sudden she is filling up her long term, and satisfying her instant gratification needs at the same time. Finally, she said her budget for two 20 somethings, for a month was $200. I find that most coupon and budget friendly folks can make it on $20 per person, per week. So she is going to shoot for $160 next month. It may take some time to build that pantry base and really get there, but I think she can do it and will find she has MORE money in her budget for salty snacks, frozen treats, and a splurge here and there in the meat department.